Due to the fact that countries have different business cultures and languages, it’s wise to have a clearly-written contract to reduce any misunderstandings. Thus, the main benefit of Incoterms is reduced risk in a transaction. By specifying the exporting seller’s and importing buyer’s obligations, there is no confusion with regards to rules of transportation from point A to point B. Incoterms do not cover, however, ownership or title transfer of the goods. These terms are agreed upon separately between the two transacting parties. ‘Incoterms’ has become a stock term in the international freight world. In fact, it is a word that is copyrighted by the International Chamber of Commerce (ICC). Following some years of discussion and drafting within the ICC, they issued the first International Commercial Terms (Incoterms) in 1936. There have been 5 revisions since then, up to the latest – Incoterms 2010. The United Nations Commission on International Trade Law (UNICTRAL) recognises these terms as being the global standard for transportation, and they are available in 31 languages through ICC. 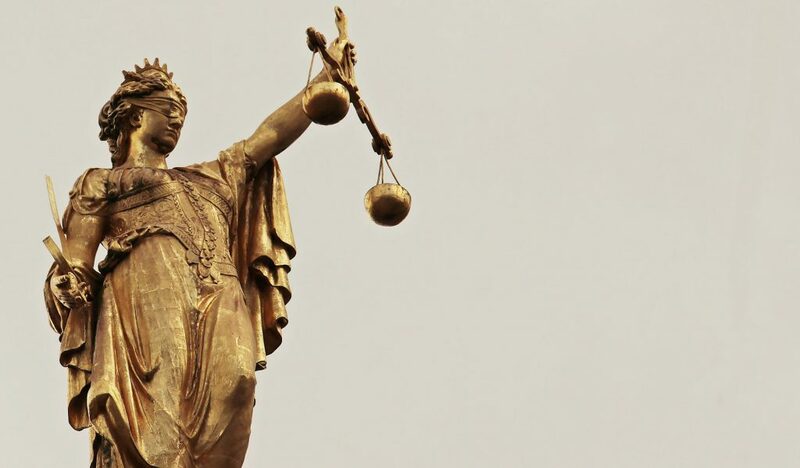 ICC’s biggest achievements include a code of documentary credits practice for banks, a standard of advertising practice, and of course, Incoterms. As a small business, how do you navigate all of these rules? In particular, small businesses need something that is convenient for the buyer, but at the same time mitigates costs and risks to the buyer. The best Incoterm class for small businesses would be the C-term rules. In particular, CIF is the most common because there will be a stronger grasp on shipments. 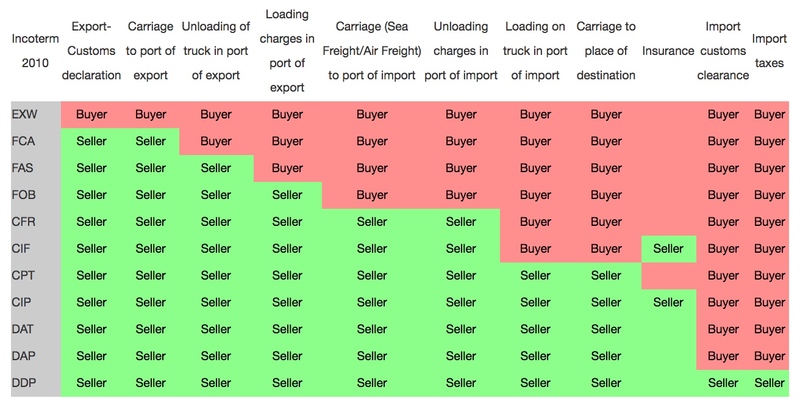 In this scenario, the seller takes responsibility for all costs until the cargo is loaded at the origin port, but the cost passes to the buyer at the specified discharge port. Coupled with a sophisticated shipment tracking system and order fulfilment service, the competitive advantage of a small business with international clients will be given to those who use Incoterms wisely. ‘Ex Works’ is also the typical basis of making initial quotations when the actual shipping costs at a given time are not known. It places the greatest responsibility with the buyer, while the seller has minimum obligations in the whole shipping process because the buyer covers all costs from seller’s door to the final destination. The seller just makes the goods available at the agreed date and ready for collection, which is commonly the seller’s factory, mill, plant or warehouse. The buyer is held accountable for all subsequent costs and risk, and responsible for loading, transportation, clearance and unloading at the seller’s premises unless the specific wording is added to the contract to vary this term. In Free Carrier, the seller is responsible for export clearance and delivery of the goods to the carrier at the named place of delivery. The buyer is to clearly specify the precise point of delivery in the contract of sales or carriage. If the named place of delivery is the seller’s place of business, the seller is responsible for loading the goods. If the named place is the carrier’s premises, the seller is not responsible for unloading. The buyer normally pays for carriage to the port of import, and risk passes to him when the goods are handed over to the first carrier, even though ‘delivery’ may not take place until the destination. The buyer also pays for insurance. Carriage Paid To requires the seller to clear the goods, deliver them to the carrier and pay for the carrier to the named place of destination. Insurance is not required from the seller. The seller’s risk ends with delivery to the carrier while the buyer’s risk begins when the carrier receives the goods from the seller. However, the buyer is only responsible for additional costs after the goods arrive at the final destination. This is commonly used in road/rail or road/sea container shipments and is the multimodal equivalent of CIF. In Carriage and Insurance Paid To, the seller assumes all risk until the goods are delivered to the carrier at the place of shipment – not the place of destination. Same as CPT, but the seller is obligated to secure minimum insurance coverage. The risk passes when the goods are handed over to the freight forwarder, who in practice supplies the insurance element and the buyer is responsible for all risks until the freight reaches the named place of destination. In this system (new in Incoterms 2010)Delivered At Terminal refers to the seller pays for delivering the goods to the arrival terminal, (excluding import clearance). Up to the point that goods are unloaded at the terminal, the risk remains with the seller. Goods are placed at the disposal of the buyer at the named terminal, at the named port or place of destination. It is important to clearly specify the precise point at or within the terminal where the goods will be unloaded. DAT is used irrespective of the mode of transport selected and may also be used where more than one mode of transport is utilized. The specific point within the terminal at the place of destination should clearly be specified as agreed upon. DAT requires the seller to clear goods for export, where applicable, without any obligation to clear the goods for import, pay import duty or carry out import customs formalities. Also new in Incoterms 2010, this is identical to DAT, except in Delivered At Place the seller delivers when the goods are placed at the disposal of the buyer, on the arriving means of transport, ready for unloading at the named place of destination. Seller’s assumes responsibility for the cost and risk (excluding import clearance) is right up to the point that the goods are ready for unloading by the buyer at his chosen destination. Therefore, clearly specify the precise point of delivery at or within the named place of destination. This is the polar opposite to EXW: With Delivered Duty Paid, the seller assumes all responsibilities, costs, risks and obligations, including import duties, taxes, clearance fees etc., right up to the destination point, where the buyer is then responsible for unloading the shipment. The seller is responsible for all costs and risk until the goods are unloaded and must pay both export and import formalities, fees, duties and taxes. This is revised in Incoterms 2010, in Free Alongside Ship, the goods are cleared for export by the seller or, more typically, his shipper/freight forwarder, and placed alongside the vessel at the named port of departure. The location can be a loading dock or a barge. The seller pays all expenses until the freight is loaded by their forwarder onto the vessel. In that point, delivery is made: and thereafter, the buyer’s forwarder is responsible for loading the freight onto the vessel, local carriage, discharge, import formalities, insurance and duties and onward carriage to the final destination. In FOB, the seller clears the goods for export and loads the goods on the vessel and at the named port of departure nominated by the buyer. The seller takes over risk and costs starting from the time the goods have been loaded. In addition, the seller is responsible for import clearance and duties. Cost and Freight (previously known as C&F) require the seller to clear the goods for export, deliver them onboard the ship at the port of departure and pay for the transport of the goods to the named port of destination. The risk passes from seller to buyer when the goods are delivered onboard the ship. The transfer of risk from seller to buyer occurs at a different point than the transfer of cost. Actual risk passes to the buyer once the goods are loaded on the vessel. Note that it is not the seller’s job to clear the goods through customs. The buyer is responsible for paying all additional transport costs from the port of destination as well as import clearance, insurance and duties. CIF is a very common format and it is identical to CFR: the only difference is that the seller also pays to ensure the merchandise. In Cost, Insurance and Freight, the seller is responsible for delivering the goods onboard the vessel at the port of shipment – not port of destination. In addition, the seller is paying for the transport and obligated to secure insurance, but only for minimum coverage to the named port of destination. As mentioned earlier, the parties may choose to use older terms, and the following that is no longer specified by the ICC may still be encountered. You may come across this with bulk commodities where seller owns or charters their own vessel. Unlike CFR and CIF, the seller bears not just cost, but risk and title until the arrival of the vessel at the delivery port. Buyer pays to unload plus customs duties, taxes, etc.